Strawberries: These vibrant red berries offer a wide range of nutrients, including vitamin C, folate, manganese and fibre. They are also a great source of antioxidants, which are very important for neutralizing free radical activity in the body. Learn more about free radical activity here. Bananas: Rich in potassium, fibre, and vitamin C – but that’s not all! Bananas also contain some very important phytochemicals, among them pectin. Pectin is a source of fibre and has so many health benefits to offer. Foods containing pectin are great for removing unwanted metals and toxins from the body, and can also help lower cholesterol. 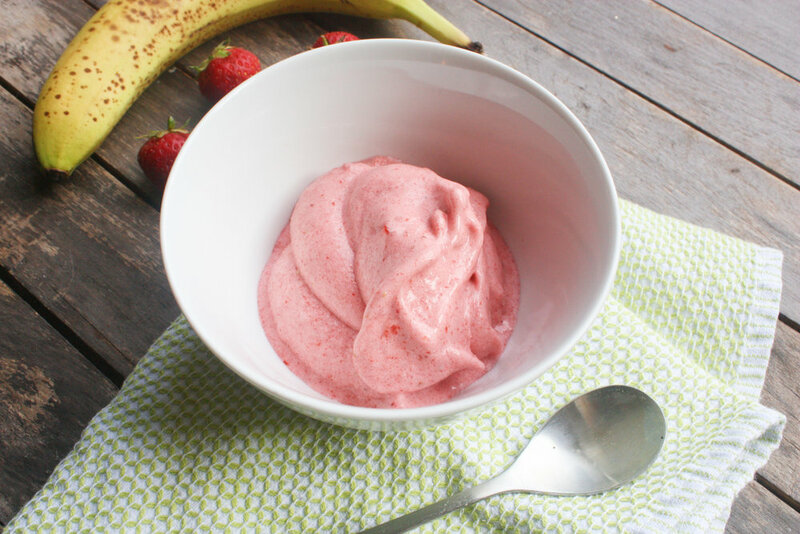 Next time you are looking for a cooling treat, why not do your body a favour too and try out my nourishing Strawberry-Banana Nice Cream! 1. Place all ingredients into a food processor and process until you reach a smooth consistency. "Bananas." The World's Healthiest Foods. N.p., n.d. Web. 05 Oct. 2016.